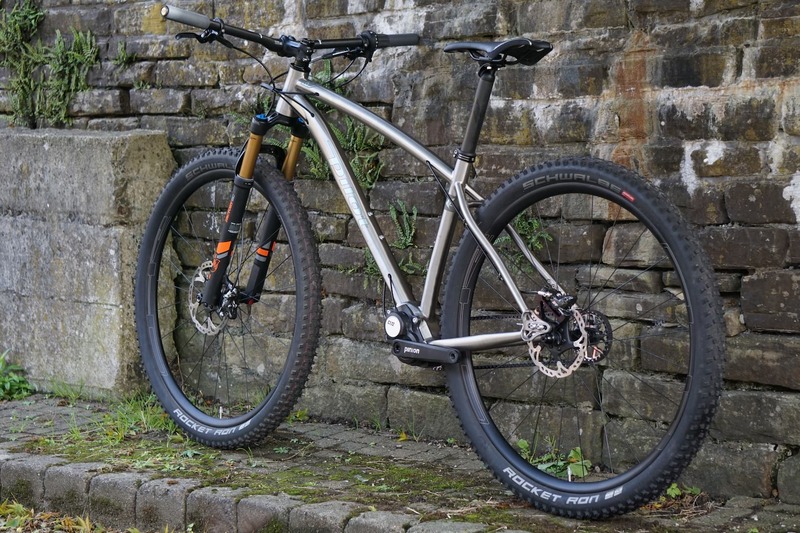 Singletrack – Pilot DURO first look! 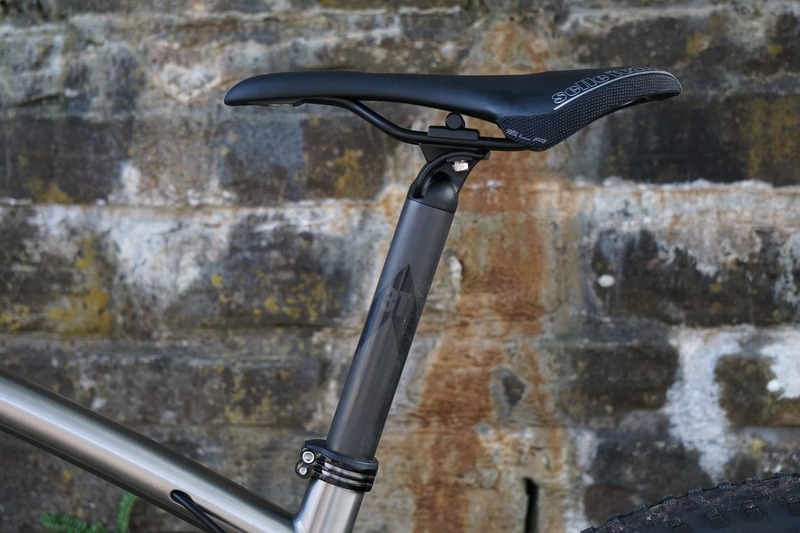 “Modern, fast agile and low maintenance wrapped in fluent lines.” is what Dutch frame makers, Pilot Cycles, says about its new DURO hardtail. We can’t comment on all of those points just yet as we’ve only just unboxed it, but “fluent lines” yes sir! 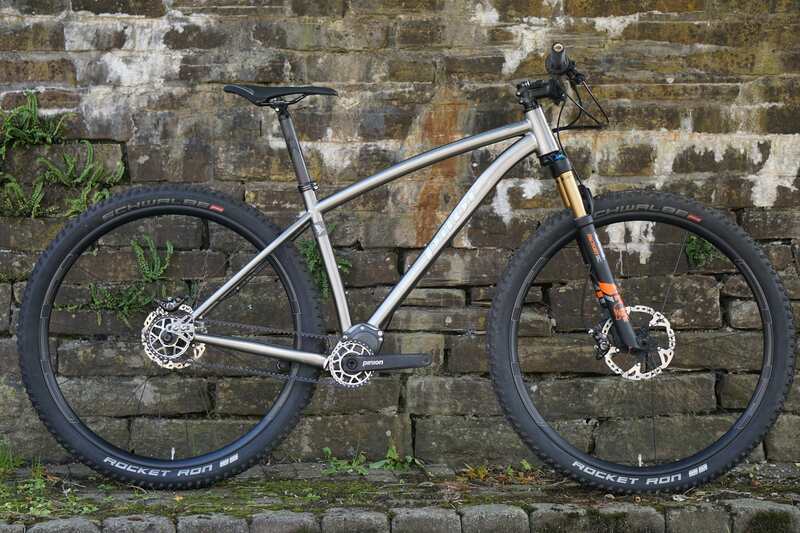 This isn’t our first Pilot Cycles rodeo, back in November last year, we had the Pilot Cycles Locum on test and while the DURO looks similar this new bike rolls on larger diameter 29in wheels and has slightly cleaner lines. 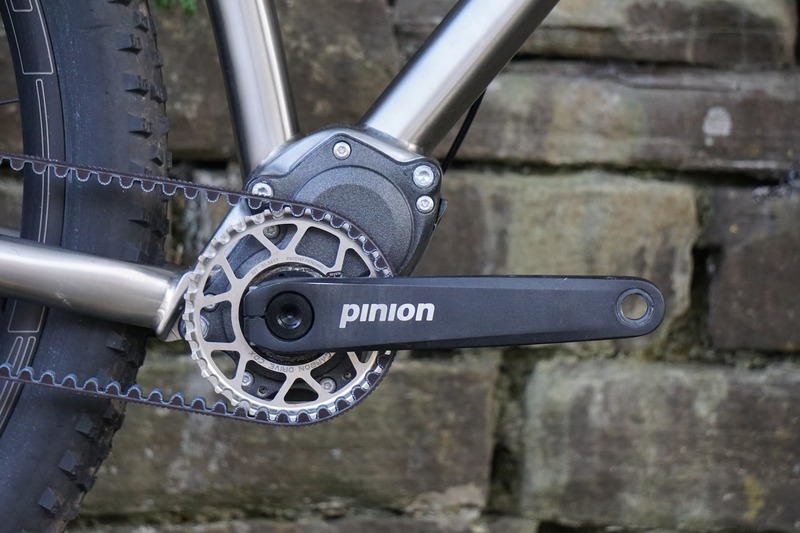 We have a stock DURO to test, but custom geometry and fit options are available at an additional €250 on top of the frame/gearbox only price of €3,149. 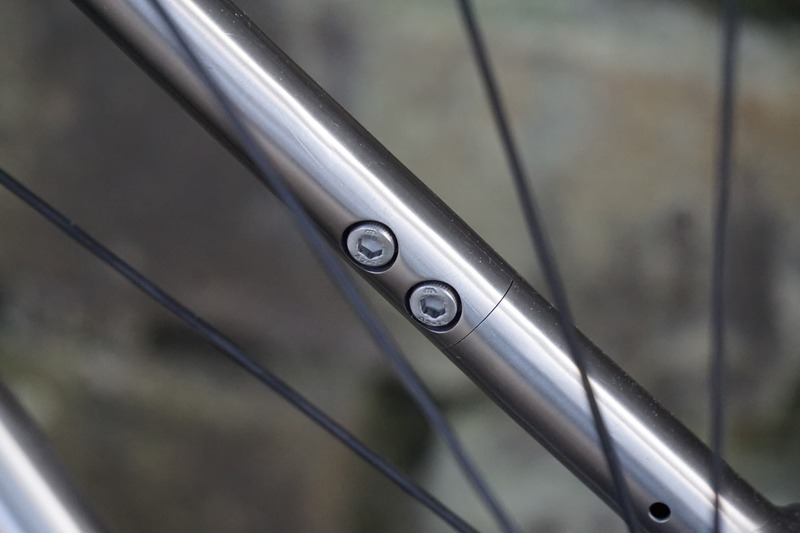 In fact, geometry is just one of the optional extras, Pilot has almost 2 pages of upgrades and changes to choose from to get the DURO just how you want it. 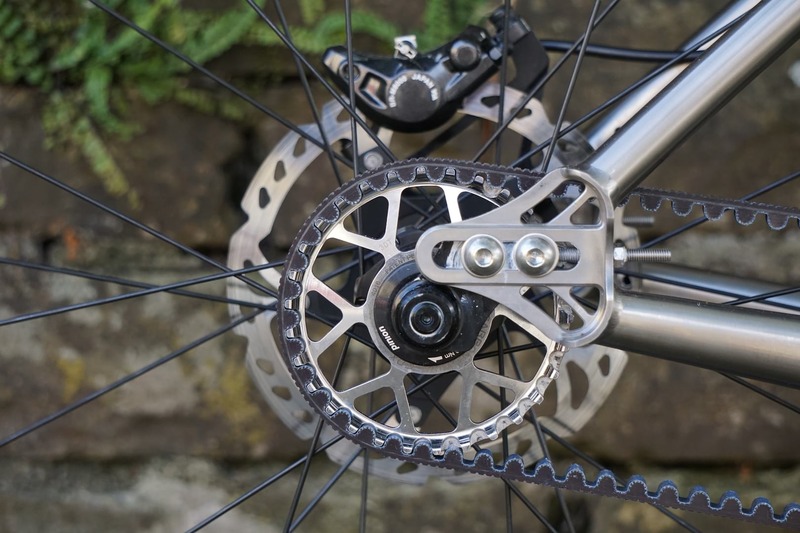 Keeping with the low-maintenance promise of the DURO, Pilot has done away with chains and a rear derailleur in favour of a Gates Carbon drive and Pinion C1.12 gearbox boasting 12 gears sealed away from the elements..
Keeping the Gates Cabon belt drive at the correct tension is a set of lovingly machined sliding dropouts, and if you look closely you’ll see where the seatstay separates for belt installation. For further clean and easy installation, Pilot’s engineers have welded in internal Ti liners for the internally routed cable and hose routing. Its beautifully finished and we can only imagine just how involved that job alone must have been. 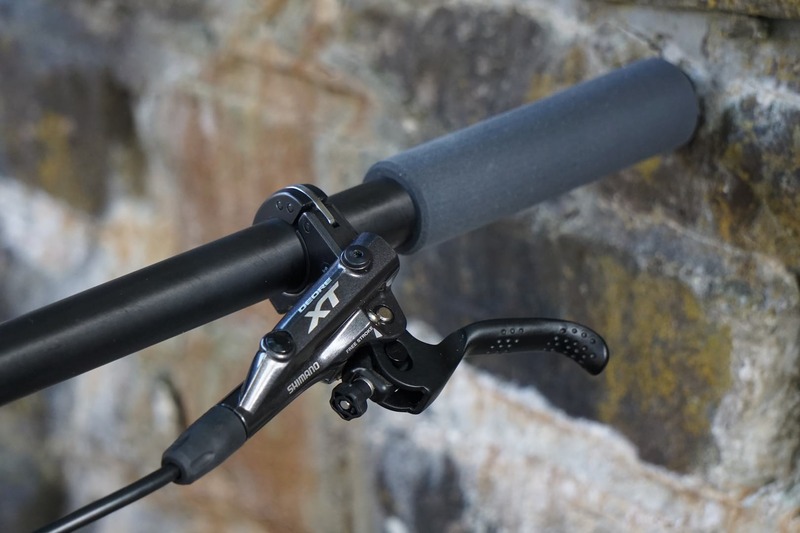 Complete builds, like ours, start from €5.399 with quality, no-nonsense kit including a Fox 32 Step Cast fork, OHR X2.2_29 wheels, Shimano XT M8000 disc brakes, but it appears we’ve been given a couple of nice upgrades including a 3T stem, carbon handlebar and seatpost. 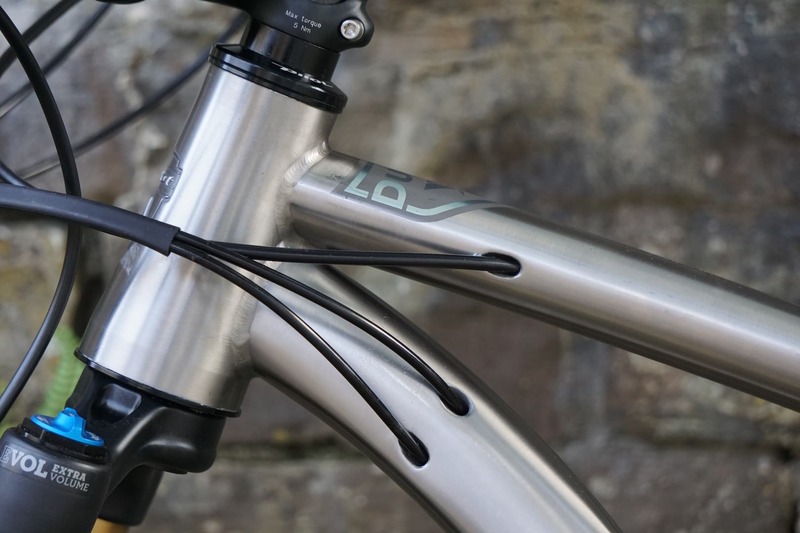 There’s also an option to go for the rather rare, but lightweight German A Xcite Zero fork, or even a Lauf. 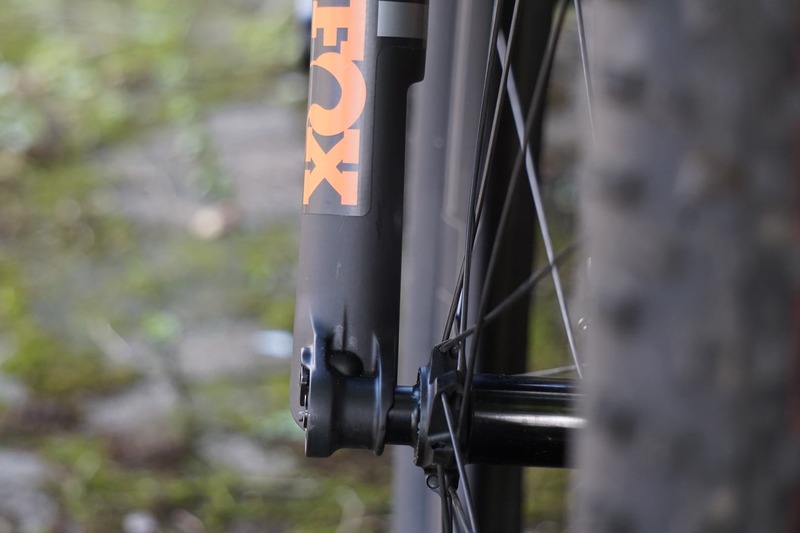 Our Pilot DURO is currently sat in our workshop waiting for a final check and to have the XT brakes swapped around before Jason Miles takes it away for his full review.